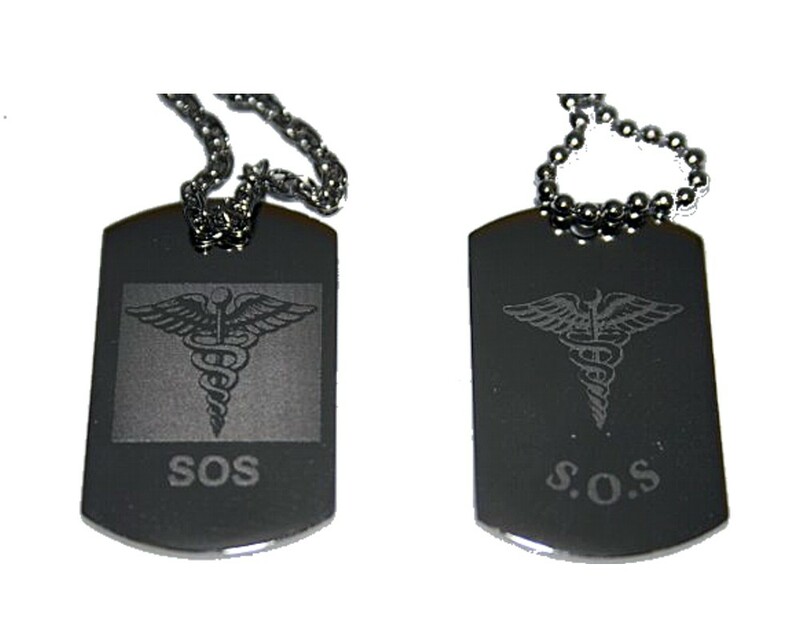 Engraved SOS Alert Medic ID Tag Pendant. Available in 2 designs - block or standard and also with the choice of a rope or ball chain. It measures 27mm x 18mm and comes in a black suede gift pouch. We will engrave on the back of this pendant the medical information you wish to be made available.